Welcome to Douglasville Dentistry for Kids! 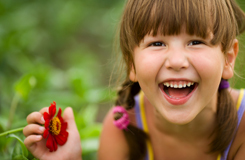 Dr. Nelson Allen and his dental team are committed to providing personal, affordable and fun dental care for your kids. We operate under a simple rule: we treat your kids as we would treat our own. As a Board Certified Pediatric Dentist in Douglasville, GA, Nelson Allen DDS is specially trained to provide a comfortable dental experience for you and your children. We are conveniently located at 3387 Highway 5 in Douglasville, GA, right off of Interstate 20. This makes us very convenient for parents in Austell, Villa Rica and Powder Springs. We are open before work and school! Dr. Nelson Allen has been treating children in Douglasville for years. He is personally connected to the community.